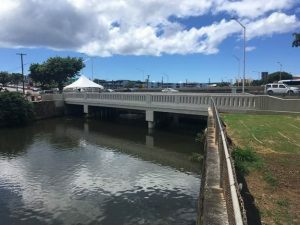 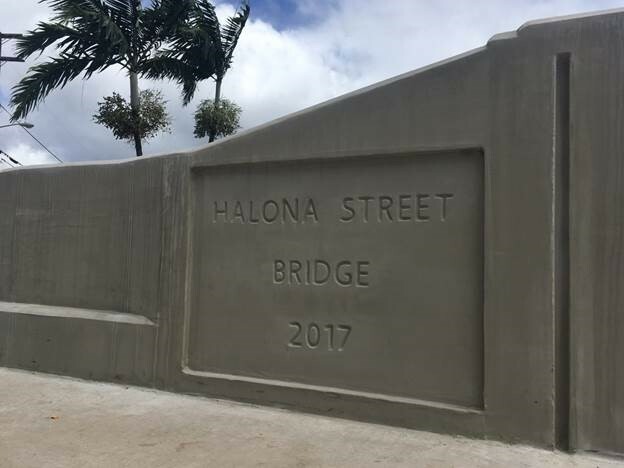 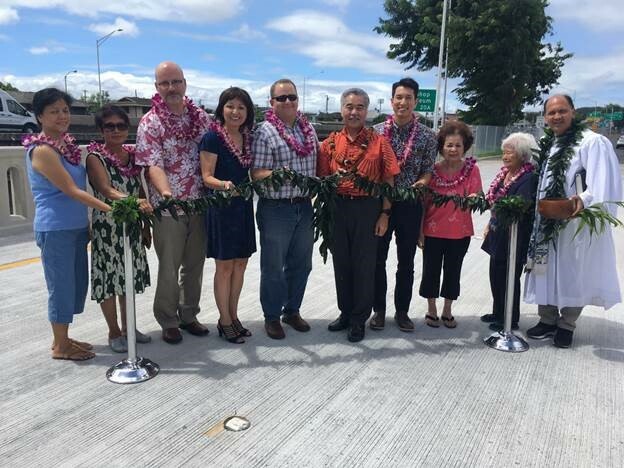 HONOLULU – The Hawaii Department of Transportation (HDOT) and the Federal Highway Administration (FHWA) are pleased to announce the completion of the Halona Street Bridge replacement project on time and within budget nine months after construction began. Governor David Ige was joined by federal and state officials in a blessing ceremony today to celebrate the opening of the new bridge and road. Photo of the new Halona Street Bridge.